This Arcade accurate 1:1 scale replica coin return button Keychain will show off your retro gaming roots! The 1:1 scale keychain is crafted from die cast metal just like old school arcades and will even light up thanks to its built-in LED. Sunday marked a milestone Xbox E3 Briefing as Microsoft Corp. unveiled the world’s most powerful console, Xbox One X (formerly code-named “Project Scorpio”) and its largest and most diverse games lineup in E3 history. Broadcast for the first time in 4K UHD on Mixer, Xbox showcased a record 42 games in its briefing including 22 with console exclusivity from creators large and small. 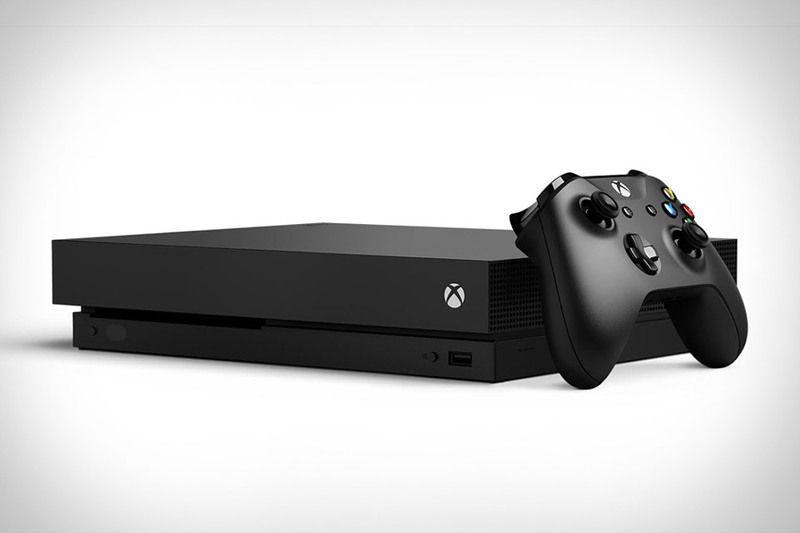 Coming to all Xbox One markets starting Nov. 7, Xbox One X will retail for $499. Online casino games allow people to enjoy playing traditional casino games like including slots and bingo. The casino games segment has the largest market share in the online gaming niche. The explosion of online casino gambling over the last decade is one that has taken the world by storm. Volume reported in 2015 stood at $41.4 billion, a figure that is triple the reported volume in 2005. The numbers are even more impressive when you consider the fact that there is no participation from the United States. Online casino gambling is near illegal in the country. Research says that the transaction volume of online casino gambling will be at least $5.2 billion higher by 2020 if 20 jurisdictions opened up in America before then. The rise of casino sites that accept PayPal such as can be found here paypal-casinos.co, which allow faster transactions is a strong reason for the increase in popularity. However, one major factor that has fuelled the rising popularity is the fact that online casino games are designed with the pop-culture influence, thereby making the games more attractive to millenials. How is this achieved? We will use the creation of a slot machine as an example. As someone who is a stranger to the world of casinos or computer programming, online slot machines will look like a basic tool. However, such games are some of the most demanding for developers. It will take at around a year to design a premium online slot machine from scratch, up to the deployment stage on various platforms. The process takes the expertise of more than a dozen people ranging from game designers to mathematicians and server developers. In some higher end games, special graphics designers may have to be brought into the team. Although each game varies, development teams generally use slot mechanisms that already exist. This is to streamline the research and development. It is also a way to make sure that the new game produced is one that the gaming public is already conversant with. This is why at the end of the day, players can still find their way around games and rules from simplistic games like Bars and 7s to more robust ones. So how does pop-culture come in? In the past online casino games mostly featured landmarks or everyday objects. Players were used to seeing games based on the Pyramids of Egypt, The Statue of Liberty or other similar exotic locations. Today, the landscape has changed. Although we still have such games, the newer designs feature pop-stars, actors, actresses and even sports stars. The pop-culture based theme makes the games more appealing with people who are already conversant with the stars the themes are based on. Once a theme has been settled upon, the next stage in design is to figure out the mood of the game. Will it be based on real licensed photographs or cartoons? How will the rules and bonuses be crafted to reflect the mood? Once these points are sorted, the online casino game is complete. Pop-culture has led to advancements in many niches. The online casino gaming world is one of those that have benefitted immensely. This is even more so for paypal casinos as they already have a massive draw. 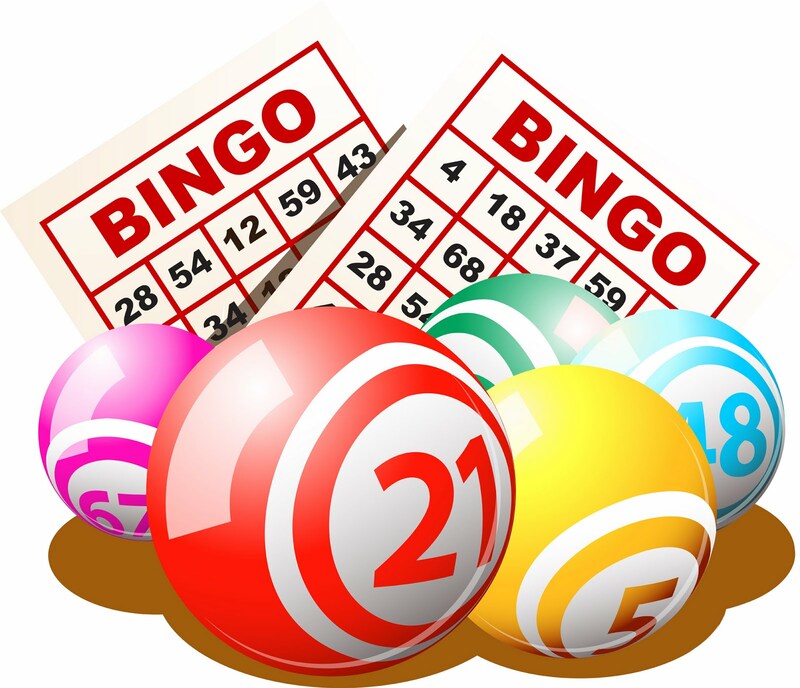 Bingo, although stereotypically associated with the older generations, is still a much loved pastime and is now increasing in popularity thanks to the growth of the online industry and modern reinventions of the game. With an upsurge of young followers, coupled with a wealth of games, offers and online bingo bonuses, the industry is thriving in 2016. In fact, such is the game’s influence, that it has also become a staple in modern culture. Whether it be for humour, politics or just to set the scene, bingo proves to be a popular choice amongst today’s film and TV directors. 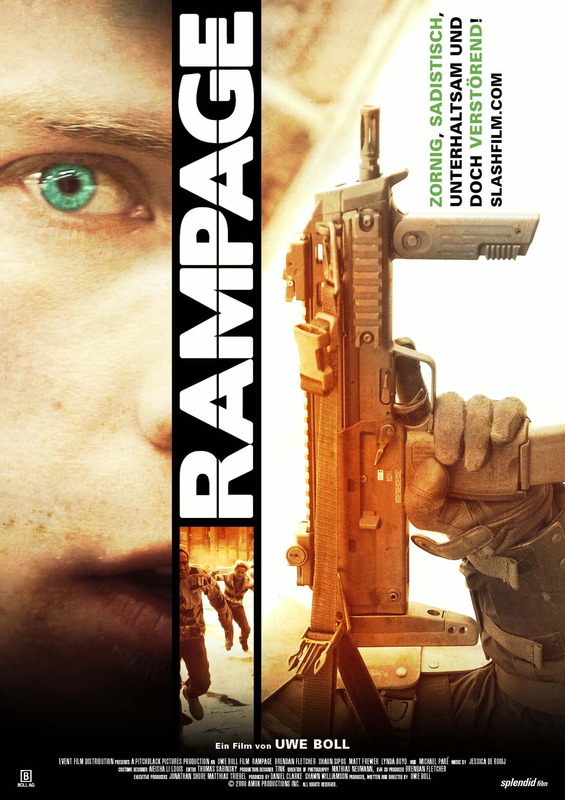 Rampage is a 2009 mass murder thriller which received a cult following. Despite its apparent gruesome plot, the bingo scene in Rampage is rather humorous. The movie is about a boy filled with hatred at the world and decides to take his anger out by going on a killing spree. Equipped with a Kevlar suit and an arsenal of weapons, he embarks on his rampage and comes across a bingo hall. The hitman wanders around the bingo hall seemingly unnoticed as no players appear to pay attention to his presence, instead immersed in their game at hand. Leaving his plethora of weapons on the able, he takes a ball from the bingo caller and shouts it out, it is only then he is noticed but still, people continue to play despite the new caller’s sudden armor suit and rifle. He leaves without harming anyone deciding the players are close to death anyway. The scene is said to be portraying the high levels of concentration bingo requires. 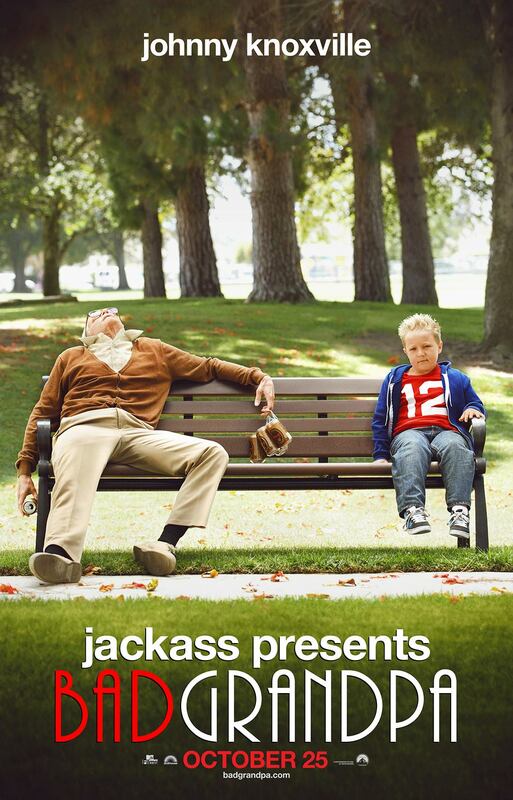 Bad Grandpa is the fourth installment of the Jackass film series and makes for a hilarious movie. The Bad Grandpa, unsurprisingly the protagonist of the movie, is preparing to take part in a game on bingo, with the fellow participants oblivious to the hidden cameras. The prankster grandpa makes some inappropriate remarks and disgusts bingo fans by drinking bingo fluid. His continuous ill-suited force fellow bingo-goers to move tables and is a scene that will leave you cringing for the poor unsuspecting gamers. A definite must watch for fans of senseless humor. 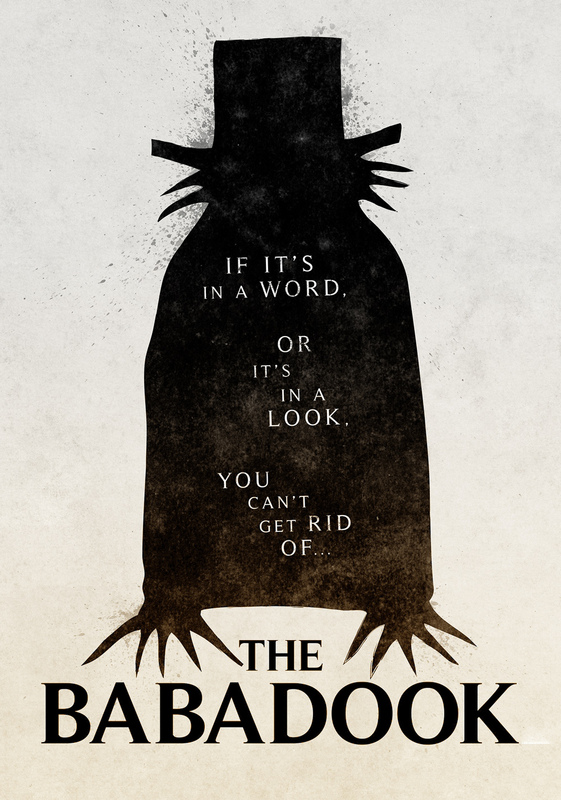 Much like Rampage, Babadook is one of the darker films which uses bingo as part of its plot. The psychological thriller tells the story of troubled widow Amelia. She works in a care home which represents the mundaneness of her life. Amelia calls a bingo game for the residents in an attempt to liven things up, however, her attempts often see her being reprimanded which is a representation of her place in society. 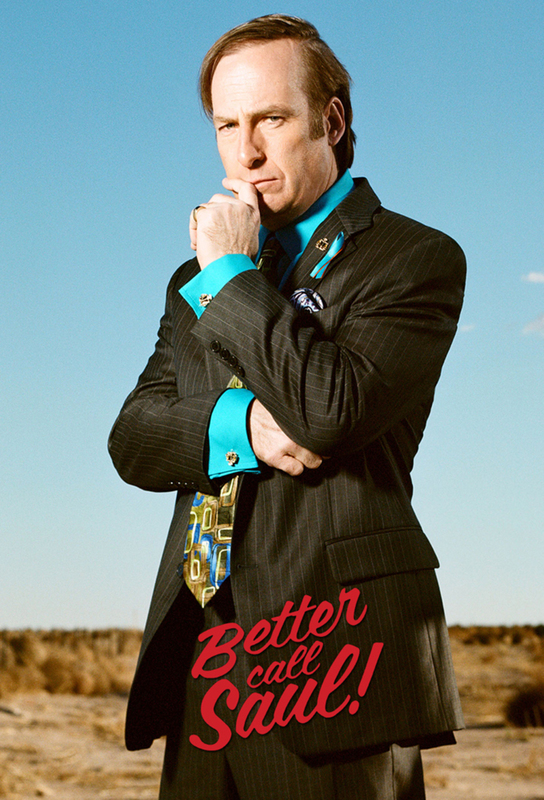 Better Call Saul, the spin-off prequel for the successful Breaking Bad crime drama, also features a bingo scene. The scene is rather poignant as it allows him the motivation he needs to make some changes in his life. Seeing Saul call a game of bingo is rather unusual but necessary, not only does it reveal an endearing side to his character but it also allows him to get a lot off his chest as it leads him a rant at the puzzled patrons at the retirement home. Ever since the first glimpse at the end of X-Men: Days of Future Past, fans have been clamoring for more details on the upcoming X-Men: Apocalypse. Simon Kinberg, writer of the movie, had a few things to say about the in-the-works epic while promoting the new film he produced, The Martian, at the Toronto Film Festival. Kinberg hinted that this may be the last we see of the cast of merry mutants we’ve come to know and love since the reboot of the franchise with X-Men: First Class. “…It’s a bigger movie in both physical scale and I would say emotional stakes too because it is the culmination of this mini trilogy of stories,” Kinberg told Collider. According to Heroic Hollywood, fans may finally be getting a closer look at the upcoming movie sooner than they expected. Rumor has it that the first official trailer for X-Men: Apocalypse will be attached the upcoming Matt Damon feature, The Martian, which hits theaters Oct. 2. There’s also a good chance that the trailer will appear online before then. Days of Future Past was the best reviewed X-film released to date. It was also the most recent to receive its own video game, Uncanny X-Men: Days of Future Past, for iOS and Android. With the exception of the smartphone game, the last official X-game was the atrocious X-Men: Destiny for the PS3 and XBox 360 in 2011. The new film trilogy has given the team more cultural cachet than they’ve seen in years. The last X-Men game that was well received was X-Men Legends II: Rise of Apocalypse, which was released ten years ago. It’s no coincidence that two of the top four best X-Men games center on battling the god-like villain, Apocalypse. Both Marvel and Fox would be amiss to sleep on the opportunity to give fans what they want. In the meantime, however, die-hard X-fans can whet their appetites for the new film with one of the X-Men games available at Betfair’s gaming platform. Featuring the full cast marvelous mutants, it’s an interesting take on what we’ve come to expect from games featuring Professor X’s cast of superheroes. For those unfamiliar with the site, it uses the mutants’ likenesses to outfit what is an otherwise straightforward slot machine-like game. If nothing else, it’s simply intriguing to see how the characters have been translated to this medium. As far as the story goes, we predict a healthy mix of classic comic book story arcs and new twists, not unlike the team did with Days of Future Past. If Fox can continue to learn from its successes, fans might be able to realistically expect the X-Men to compete at the box office with Marvel juggernauts such as The Avengers and Guardians of the Galaxy. In the previous film, we were introduced to Bishop and fans of the comics may recall the pivotal role the time-traveling mutant had in the classic 1995 storyline, Age of Apocalypse. Without getting too much into spoiler territory, the ensemble cast and characters who have been revealed perfectly set things up with hints that Angel may in fact be one of Apocalypse’s horsemen; newcomer Psylocke has also spent time as the horseman of Death in the comics. We expect much more to be revealed when the official trailer drops which we expect any time the next few weeks. 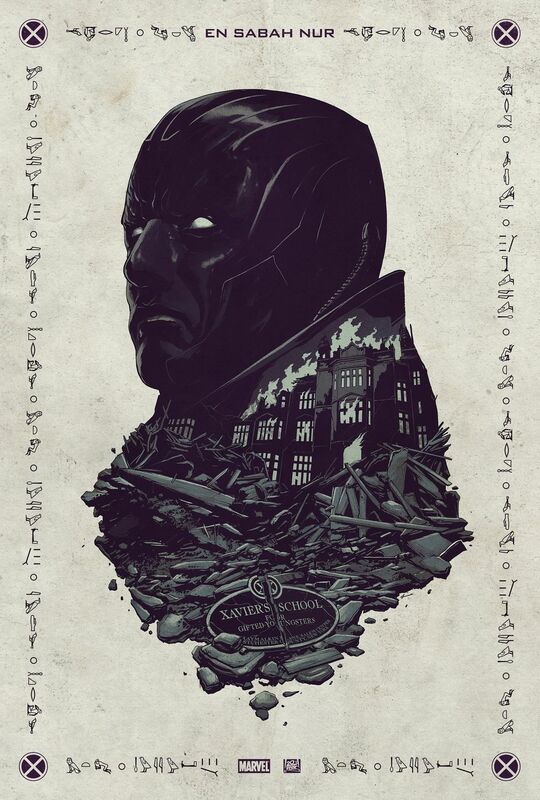 X-Men: Apocalypse is scheduled to open May 27, 2016. As the gaming industry continues to thrive, with more and more of us turning to next generation consoles as well as mobile based video gaming experiences, it can be difficult to remember that there are much simpler and equally fun ways to enjoy ourselves without the need for modern technology. Online gaming is marketed as a fun and sociable way in which to interact not only with friends but with other gaming enthusiasts from around the world but of course we often forget the importance of spending actual time with our companions. 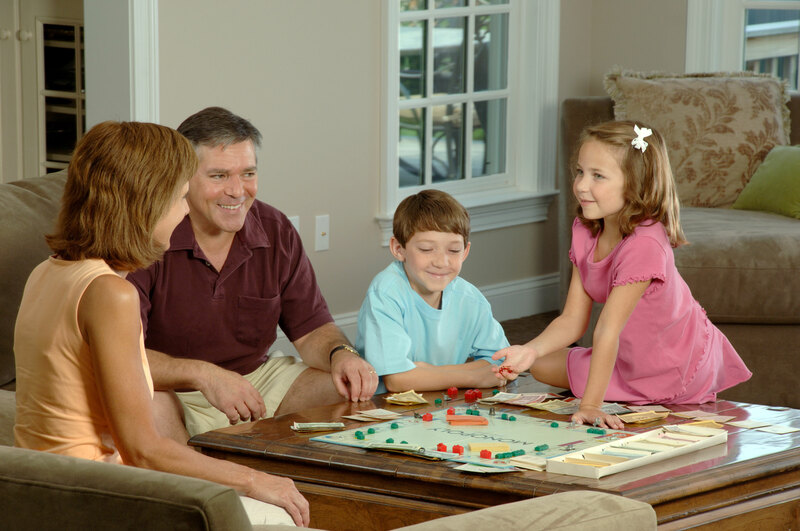 Thankfully, there are still heaps of traditional board games out there to enjoy, so next time you’ve got a few of your friends over, revert back to the good old days and try out these classic titles. This brilliantly strategic card game is another result of a successful Kickstarter campaign and is something that gamers across the globe will soon find addictive. 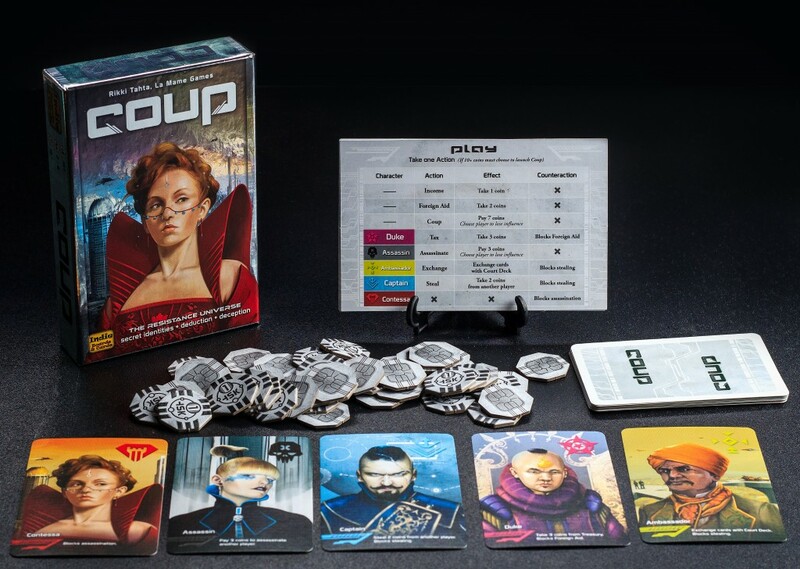 The main aim of Coup is to outwit or bluff your way through the rounds as you attempt to influence your rivals to parting with their money and, more importantly, their cards. This 1930’s classic is always high on the list of every households must have selection of board games. 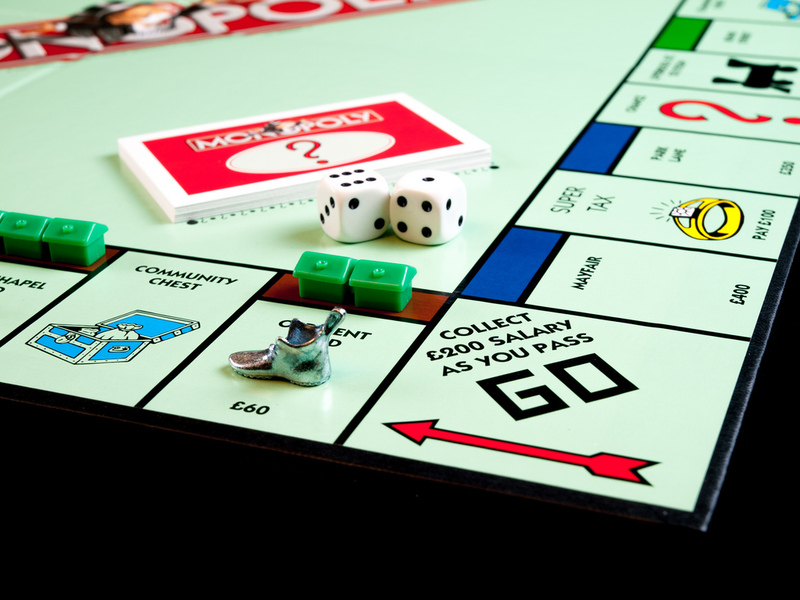 Great fun for everyone, Monopoly sees players competing for properties around the board, all decided by the roll of a dice. Build up your portfolio of houses, hotels, stations and more to monopolise the game and win your rivals hard earned cash. 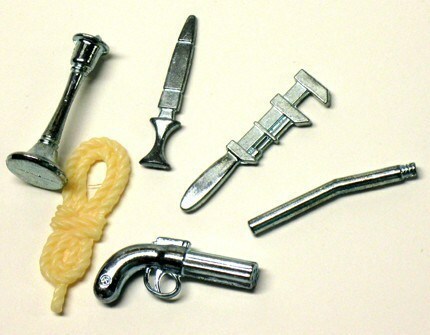 Another true classic on our list is murder mystery board games Cluedo (AKA Clue). Each player takes on the role of one of six potential murderers with the aim of the game to uncover the murderer, the weapon that was used in the crime, and the room in the mansion where the murder itself took place. Even though many enthusiasts of this time-less staple now take advantage of roulette no deposit offers online, it may be a good idea to bring the game in to your living room if you wish to experience something a little more immersive. Cheap tables are often available on sites like eBay, so plan a Saturday night in advance, stock up the mini bar and don some lavish attire before you invite your mates over for a night of enthralling entertainment. 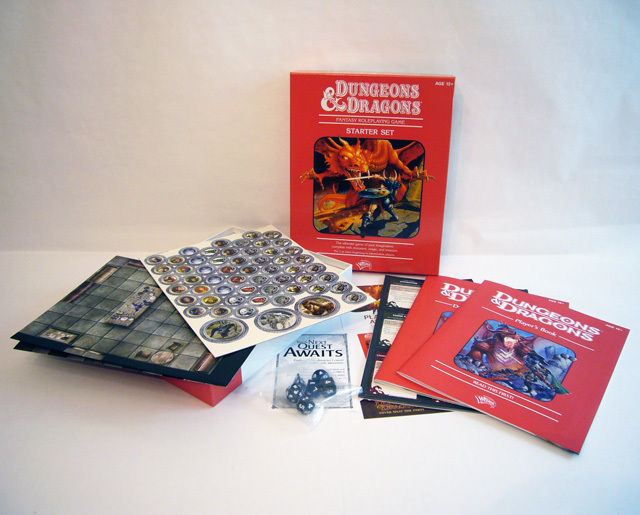 Fantasy table top game Dungeons and Dragons has always had the unfortunate stigma of being a little geeky for some player’s tastes however this hugely successful role-playing game continues to flourish, attracting newer generations of enthusiasts with each release. Set out on your mystery quest and enjoy all the fantastical storytelling from the elected Dungeon Master himself as he guides you through your adventure. 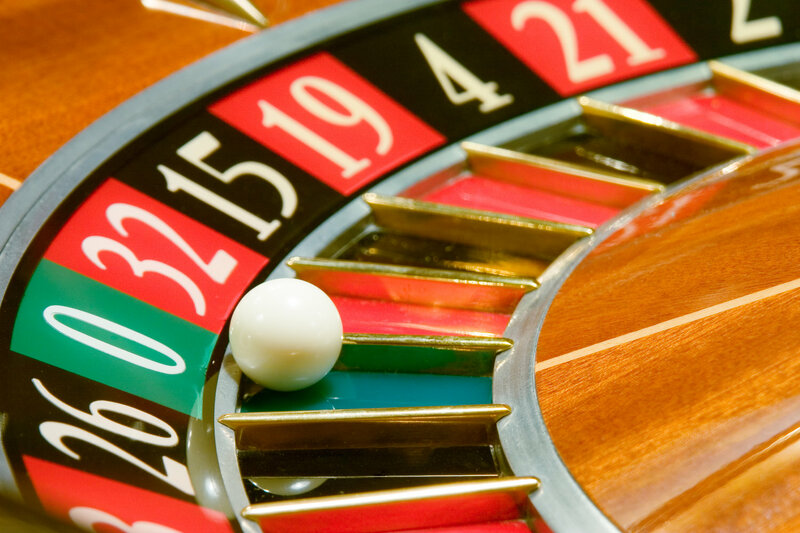 Today, anyone who’s asked to think of a casino game will invariably name roulette. It’s one of the most iconic casino games, and these days, it’s played by millions on online casino sites such as 32red and Roxy Palace as well as being a perennial favourite in the land-based casinos. There’s something about the image of roulette that draws people to play it. It’s a game that’s simple to play and it’s purely down to chance whether you win or lose (or, in the case of online roulette, it’s only down to the simulation of chance provided by the random number generator software that’s part of the online game). But although it’s easy to play, there’s something hypnotic about watching the wheel, willing the ball to land on the numbered pocket that you’ve bet on, or to land on black or red, whichever you’ve chosen to back. With online casinos today, the 3-D imagery that you get with online roulette games gives the impression that you’ve got a real roulette wheel in your living room – or wherever you happen to be playing. The game of roulette has ancient origins. It’s thought that a similar game used to be played in ancient China and in Roman times, the centurions would play a game of chance using the divisions of an upturned chariot wheel. Today, there are lots of variations on roulette played away from the casino setting. 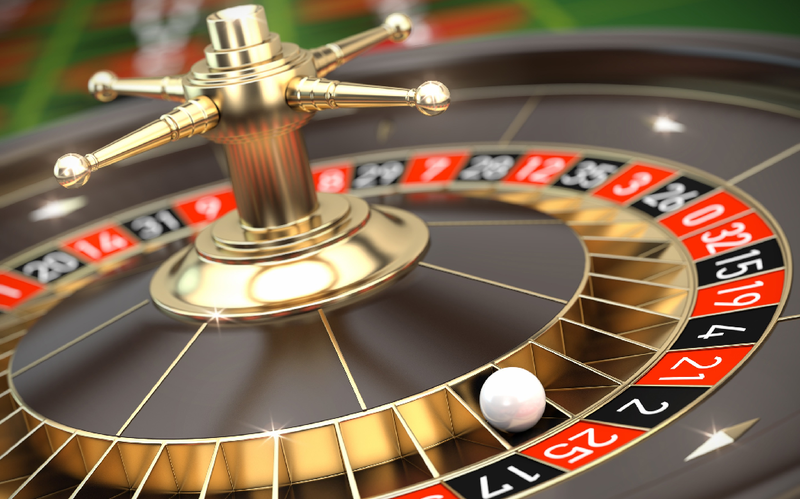 Let’s take a look at some of the alternatives to classic roulette. This is a great game to play when waiting for your food in a restaurant. Take the salt and sugar packets from the table, and rip off the tops of one sugar pack each. Replace the sugar in one pack with salt, then shuffle all the ‘sugar’ packets under the table and hand them round. On three, everyone has to down the contents of their packet. One unlucky person will draw the short straw and be left with a mouthful of salt. Chat roulette is another variety on the roulette game. Users sign up to the website chatroulette.com and whenever they login they are paired with another user at random to start talking to one another. So, again, it’s a question of ‘you never know what you’re going to get’. As well as being able to type messages to each other, the chatters are connected via webcam and audio. Users can leave a chat at any time, by initiating another random connection. This is a party game that’s so easy to set up – all you need is a group of people and an empty bottle. The classic version of this game is when the players sit in a circle around the bottle. One player sets the bottle spinning and has to kiss the person that the bottle points to when it stops spinning – so it’s always been a popular feature of teen parties over the years. There are many other variants of this game. One example is to have a tray of mixed hardboiled and raw eggs. When the bottle stops spinning, whoever it is pointing at has to pick an egg and crack it on their forehead – obviously hoping that they will get a hardboiled egg, not a raw one. And then of course, there’s the ultimate game of chance – Russian roulette – although, thankfully, few people, apart from NFL running back Herschel Walker, actually play this potentially deadly game! Warner Bros. Interactive Entertainment, TT Games and The LEGO Group announced LEGO Dimensions, an all-new entertainment experience that breaks the rules of traditional gaming to merge physical LEGO brick building with interactive console gameplay in a manner only imaginable in the world of LEGO games. Launching September 27, 2015, the game will fuse many fan-favorite universes together, including DC Comics, The Lord of the Rings, The LEGO Movie, The Wizard of Oz, LEGO Ninjago, Back to the Future, and many more still to be announced. LEGO Dimensions, developed by TT Games and published by Warner Bros. Interactive Entertainment, will be available for Xbox One, the all-in one games and entertainment system from Microsoft and the Xbox 360 games and entertainment system from Microsoft, PlayStation 4 and PlayStation 3 computer entertainment systems and the Wii U system from Nintendo. For the first time in any LEGO videogame, characters from iconic entertainment franchises join forces and battle in worlds outside of their own. 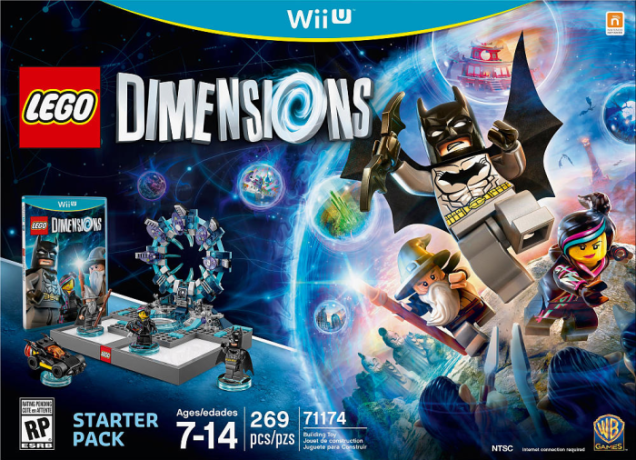 In addition to the game the LEGO Dimensions Starter Pack will include the LEGO Toy Pad, which allows players to transport special LEGO minifigures and other LEGO objects into the game, bricks to build the LEGO Gateway, three LEGO Minifigures, including LEGO Batman from DC Comics, LEGO Gandalf from The Lord of the Rings and Wyldstyle from The LEGO Movie, plus the LEGO Batmobile. 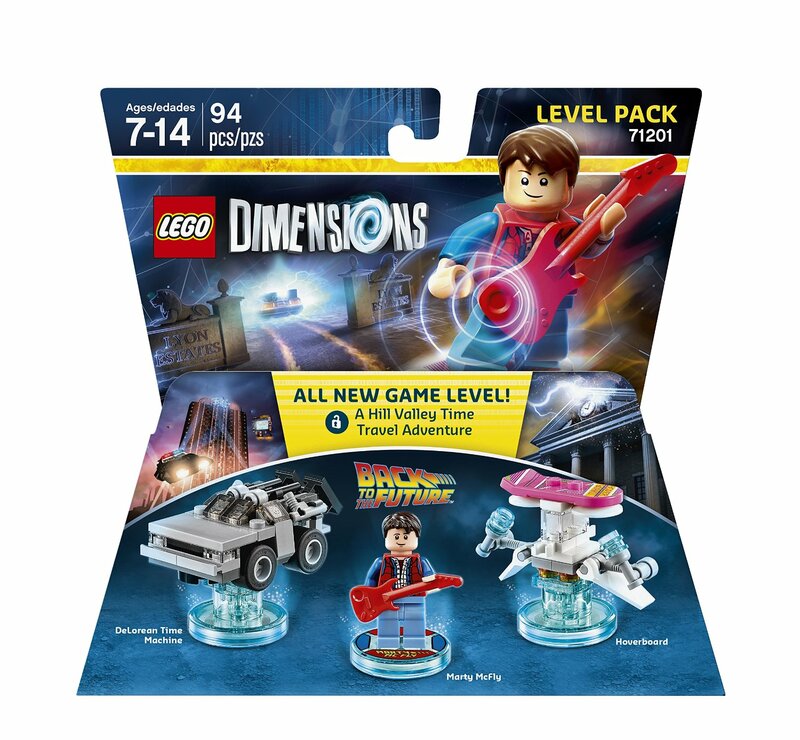 LEGO Dimensions not only offers a bridge between digital and physical LEGO play, but also introduces a digital system of play with great long-term value for LEGO gaming. One LEGO Toy Pad, LEGO Gateway and the videogame found in the initial Starter Pack will offer endless opportunities to customize a player’s experience for years to come. Future expansion pack purchases will continue to work with the Starter Pack, even in the fall of next year. 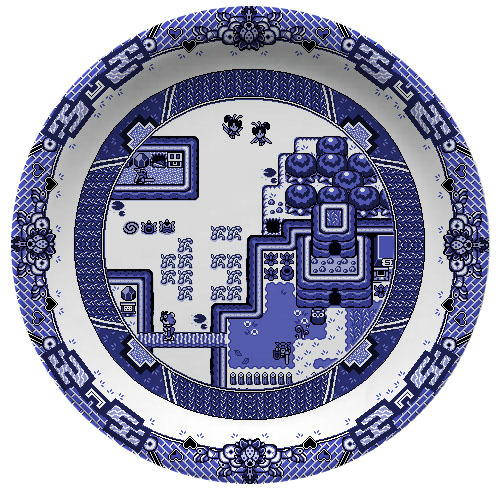 Artist, Designer, Game Maker Olly Moss created these clever 8-Bit Willow plates and they will be on sale for the next 3 days. You can order them HERE. 27cm fine bone china plate printed with a semi-traditional Willow pattern design. 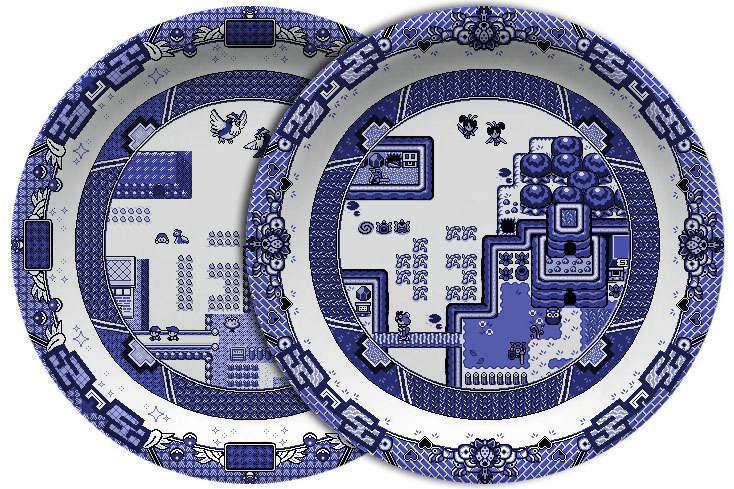 Two 27cm fine bone china plates printed with a semi-traditional Willow pattern design. 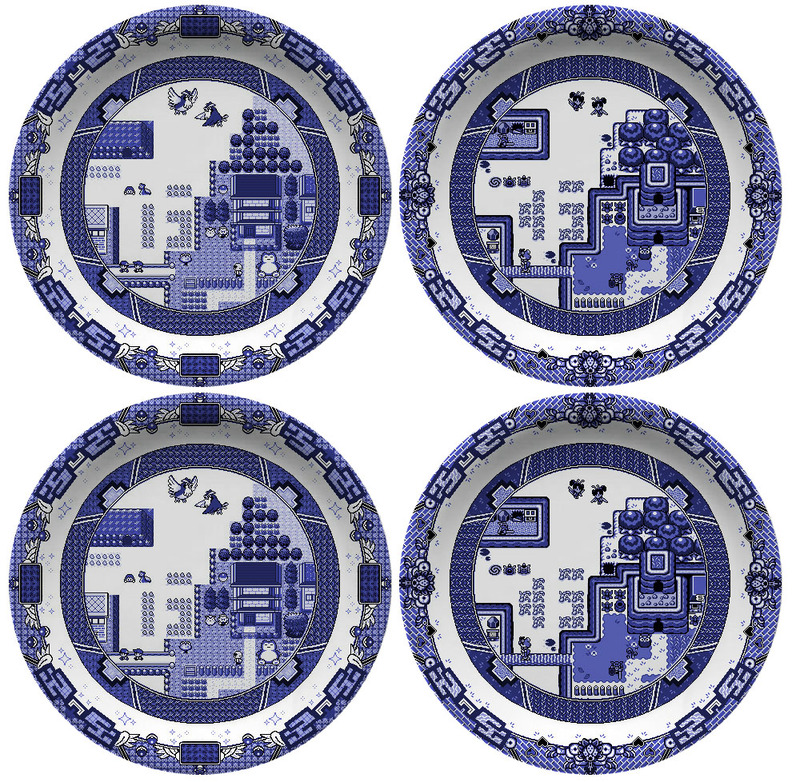 Four 27cm fine bone china plates printed with a semi-traditional Willow pattern design. Two of each designs. 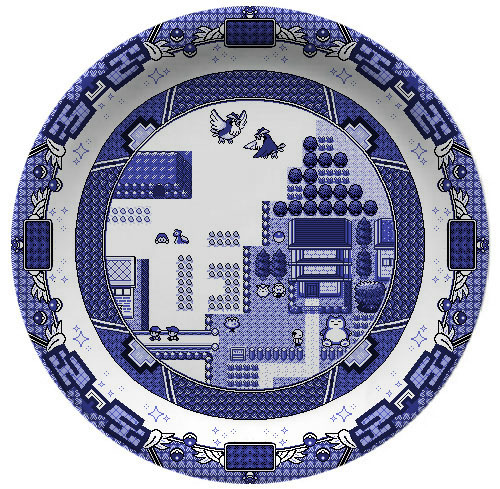 These plates will be on sale until October 7th 12pm GMT and they will ship in about one month.